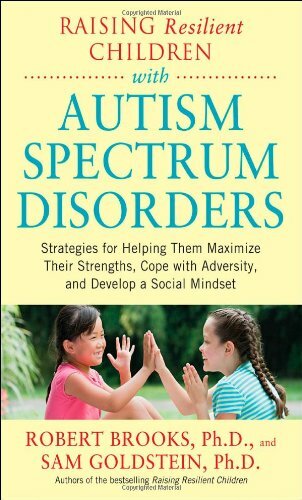 Raising Resilient Children with Autism Spectrum Disorders: Strategies for Maximizing Their Strengths, Coping with Adversity, and Developing a Social Mindset by Dr. Robert Brooks, Sam Goldstein. In this book, noted psychologists and bestselling authors Dr. Goldstein and Dr. Brooks teach you the strategies and mindset necessary to help your child develop strength, hope, and optimism. This is the first approach for autism spectrum disorders based in the extremely popular field of positive psychology.